Sustainable, or green, technology is defined as, “technology that takes into account the long and short-term impact an invention has on the environment.” It “meets the needs of the present without compromising the ability of future generations to meet their own needs.” Attention from the media leads us to believe this has recently become an issue, but this challenge has a long history. Sustainable technologies were produced to combat concerns about the unintended environmental impact of rapid consumption of natural resources. According to a report by the International Resource Panel, “extraction of primary materials has more than tripled in 40 years.” In addition, the report claims, “we’ll need 180 billion tons of material annually to meet demand by 2050 if the world continues to use resources at the same rate it does today.” The use of natural resources is unsustainable. New technologies need to be created before we have irreversibly depleted these resources. Luckily, renewable energy is making strides in replacing natural resource consumption. About 25% of the world’s energy consumption is renewable energy, as of 2017. From the US’s energy consumption, 17% is renewable. The use of renewables is still in the beginning stages. The greatest growth in the last decade was in solar and wind electricity. However, the use of renewable energy is still being researched, developed and implemented. Once new technologies that contribute to sustainable energy start to mature, the global use will continue to rise. It is projected that renewable energy consumption will surpass nuclear, biomass (wood and ethanol) and hydroelectric by 2040, as well as equal the consumption of coal. The extinction of insects is catastrophic for human life. Insects like bees and butterflies are crucial in fruit, vegetable and nut production. Insects are also food sources for species humans rely on, such as fish. According to the World Health Organization, air pollution causes about 1 million deaths every year. Ozone exposure causes damage to the immune system and accelerates existing cardiovascular and respiratory problems in the human body. Studies have shown that air pollution is a greater risk to older adults, children, and people with heart and respiratory diseases. It can lead to asthma, lung diseases and bronchitis. “Americans generate over 4 pounds of waste per person per day.” The waste is sent to landfills, which is the third largest source of human-related methane emissions, following fossil fuel production and livestock farming. 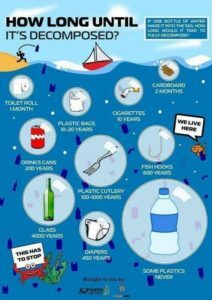 Although the use of some of these materials is unavoidable, we can all take measures to cut back on unnecessary items, such as paper towels, plastic bags and Styrofoam cups. Take a look at how long every-day items take to decompose. It is difficult to maintain the amount of waste produced daily, resulting in massive piles. With no oxygen at the bottom of the pile, methane producing microbes are able to break down waste. However, this produce large amounts of methane that will continue for many years. As we’ve already discussed, too much methane in the atmosphere has negative effects on your health. Groundwater is susceptible to contamination from landfills. If there isn’t a protective layer to the landfill or it is cracked, contaminants such as paint and household cleaners could make their way into drinking water. Contaminated drinking water can cause diseases such as hepatitis and certain types of cancer. Cost – In addition to financial challenges, implementing sustainable technology also requires massive amounts of energy and resources. New Policies – In order to implement new, sustainable technologies, policies will need to be put in place. This will ensure the safety and legitimacy of these technologies. However, creating and enforcing new policies takes time. In some cases, it takes many years for a policy to reach the end of its implementation lifecycle. What are some examples of sustainable technology? These initiatives, companies and technologies are working to change the world. Ocean Cleanup – This non-profit has started the world’s largest ocean cleanup with the goal of ridding the world’s oceans of plastic. Bowery – Bowery aims to grow pesticide-free food, using 95% less water. They can grow 365 days a year by controlling the entire production process, resulting in being 100x more productive on the same size of land as traditional agriculture. Nanotechnology – Nanotechnology is currently being used in filtration. It removes bacteria from water by emitting ions that kill contaminants. Chai Energy – This free mobile app allows you to track your home’s energy use. By using analytics, Chai identifies energy-saving opportunities based on your energy consumption. We can’t develop sustainable technologies on our own, as there are many moving parts. Engineers are needed to create and develop the technology. Governments need to support the effort by including sustainability in their innovation agendas to provide funding to research and implementation. A team of researchers need to help understand the impacts the technology will have on the environment, human life and the economy. There isn’t a simple answer to solving the world’s problems. All the moving parts need to align and as we know, that doesn’t always happen. As the title says, it takes an army. Not all hope is lost! The US is a top leader in having clean air due to the Clean Air Act, implemented in 1970, and technological advancements. With a steady incline in the effect of sustainable technologies, we have given ourselves a great start, but with room to grow. 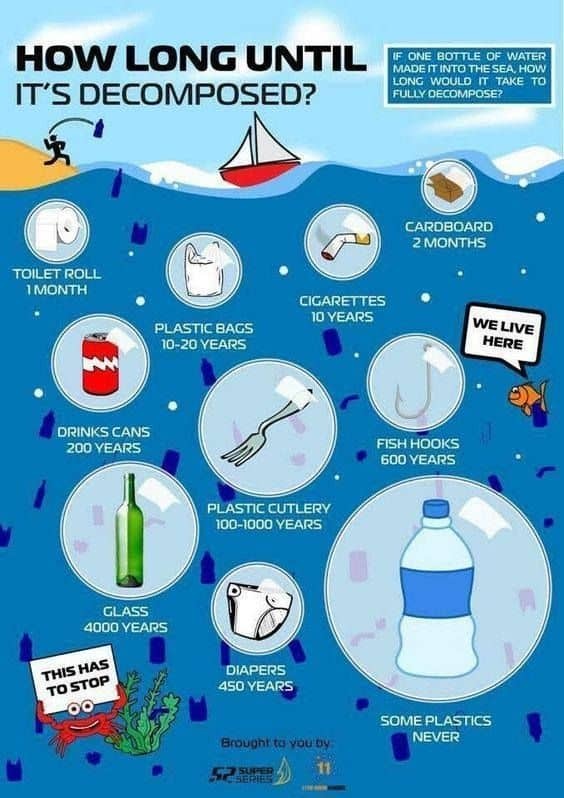 How can you do your part in keeping our Earth clean? Reduce, Reuse, and Recycle. Get inspired by the startups listed above. Think outside the box to create a new technology or invention that will lead to a healthier planet for future generations to come. You have the knowledge, now it’s time to get started.